Selected from the 2016 Stevenson Spring Bull Sale, this calving ease young sire balanced a birth weight of 73 pounds with an adjusted weaning weight of 779 for a weaning ratio of 114 with an adjusted yearling weight of 1,288 pounds for a ratio of 107 and recorded a URE ratio of 106. Sired by a popular Genex A.I. sire, the dam of Turbo Power is now a Stevenson donor and her second generation Pathfinder Dam had an average weaning ratio of 108 on her first three calves with AHIR data. 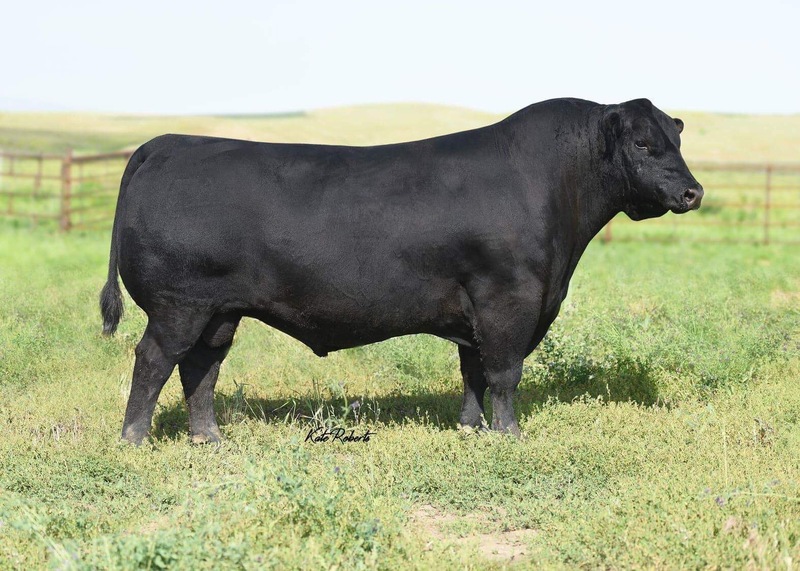 A son of Turbo Power from his first calf crop sold for $9,500 as a top-seller of the Montana’s Northern Premier Angus Bull Sale.